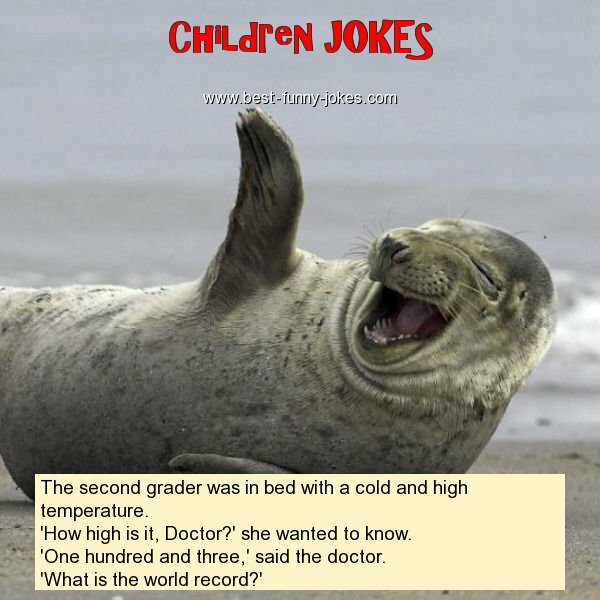 The second grader was in bed with a cold and high temperature. 'How high is it, Doctor?' she wanted to know. 'One hundred and three,' said the doctor.